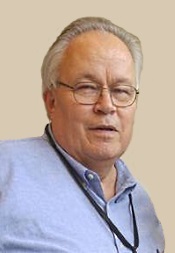 Welcome Classical Candor's newest contributor, Tech Analyst Bryan Geyer, whose article on "Optimizing Subwoofer Integration" should prove fascinating and informative to anyone interested in the subject of sound reproduction. How to select and optimally blend small subwoofers with mini-monitors: When space or decor preference dictates the use of small "mini-monitor" main speakers (instead of big full-range speakers) you'll need to supplement the bass if your goal is full fidelity. The best way to do that is to add a pair of small self-powered subwoofers--and the best place to "hide" them is in the front corners of the room, flanked outside the main mini-monitors. This location generally offers acceptable cosmetic compromise, and it assures that both subwoofers are effectively positioned to partially cancel the inevitable modal reflections that muddy the low bass in home listening rooms. 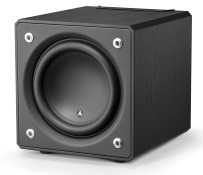 The smallest self-powered subwoofer that I find acceptable is JL Audio's E-Sub e110. These subs are fully-sealed, and sum to about 1.8 cubic feet each; weight = 53 lbs. Bigger gets impractical, so check the linear dimensions of the e110 and use that as your guideline. The JL Audio E-Sub e110 is capable of virtually flat output over the 30 Hz to 130 Hz range, and it's solidly built; it's a fine small subwoofer. Fully-sealed subs are inherently less fussy to position and orient than ported reflex or passive radiator type subs, and sealed subs are naturally easier to phase-sync with the output from your main speakers at the listening position. This latter benefit will materially simplify final tuning. Next, decide what crossover frequency to apply. If you use small monitors with ~ 5 inch woofers they'll exhibit rapid falloff approaching 85 Hz, so select a higher crossover, like 94-96 Hz. At that frequency you'll also need to assure that your subwoofer is capable of near flat output up to a half-octave higher, e.g. to 130 Hz. If your subwoofer can't reach that high (many don't) you might have to pick a lower crossover point. Choose a compromise, but don't consider anything below 84 Hz. A lower crossover is not appropriate for mini-monitors of any cone diameter, and going lower always invites more room-related modal trash--disruptive resonance best kept below the crossover point. Clearly, you should select a crossover frequency consistent what your main speakers can handle. You'll want to filter the low-pass drive, to the subwoofers, to reject frequencies above your crossover point. And you should also filter the high-pass drive, to your main speakers, to reject signals below the crossover point. This latter filtration is especially vital. You don't want to route power-hungry low-bass signals to mini-monitors that can't handle "heavy lifting," and the cleanest way to do so is to keep that low bass energy out of the main speakers' power amplifier. The most effective way to assure optimum crossover is by means of a Linkwitz-Riley aligned 4th order (24 dB/octave) active crossover. 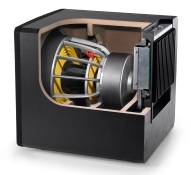 That function is already self-contained in some of the premium high-end subwoofers (including the E-Sub e110). Lesser subwoofers generally provide simpler filtering, often just for the low-pass stage, and many of those are not full 4th order filters. Some subwoofers also include rudimentary high-pass filters too, but only with simple first or second order (6 dB, 12 dB/octave) attenuation slopes, and that's just not adequate. A clean, complementary crossover transition is of vital importance, and a Linkwitz-Riley aligned 4th order active filter is the best solution--but don't despair if your preferred subwoofer omits this important feature. Why not? Well, because the best way to utilize such a crossover is to implement it externally, as a separate control box that's positioned with all of your other command functions. This will allow you to manage the subwoofer/main speaker blend from a single, central location. If this function stays buried inside each subwoofer, you'd then have to crawl to each separate unit to individually adjust the subwoofer/main speaker acoustic ratio. An external electronic crossover control eliminates that odious task. When this function is external, the subwoofers' internal crossovers should then be switched to their "bypass mode," rendering those internal filters non-functional. The crossover frequency and sub-to-main mix will then be set at the new external electronic crossover control. Marchand Electronics, of Rochester, NY, offers a professional grade stereo electronic crossover, model XM66, that's ideal; refer http://www.marchandelec.com/xm66.html. The price at this writing is $850. It can be set, by the user, for any desired crossover frequency, and it provides a full 4th order (24-dB/octave) Linkwitz-Riley aligned slope for both the high passband (to main power amplifier) and the low passband (to self-powered subs), with ±5 dB (in precise ±1 dB steps) front panel level controls for each passband, on each channel. These controls make it quite easy to trim and shape the respective gain settings as desired to optimally accommodate programs of different genre. In addition, the XM66 includes a damping control that permits fine tuning of the response at the crossing notch. This makes it possible to build in a gentle (+1 to +2 dB) bump at the immediate hi/low hinge point to smooth over any perceived evidence of the passband transition. Aurally blending subwoofers with main speakers by means of endless tweak-and-listen trials can get tiresome. There are more direct and precise ways to accomplish this critical final step; request my white paper headed "On Optimizing Subwoofer Gain & Phase Angle." This sheet describes how to accurately set the subwoofer's internal input gain and phase angle controls to assure that a phase coincident bass wave front of optimum amplitude is delivered at the designated listening position. An external electronic crossover control should be inserted into the audio system at a point that follows the main preamp (or follows the master volume control if using a "passive preamp") and precedes the main power amplifier. The Marchand XM66 controller's input impedance is ~100kΩ, so it's fully load compatible with any preamp ever made. Ditto for any "passive preamp" that utilizes a stereo volume control of 10kΩ to 20kΩ, with no need for a unity gain buffer to load the passive stage when it can mate with the XM66 inputs via ≤ 2 meters of audio cable. That length restriction is normally not a problem. The standard XM66 is normally furnished with gold-plated unbalanced RCA-type input and output jacks; XLR-type connector sockets are available at additional cost. The XM66 output impedance is quite low, so it can couple to any power amplifier that exhibits an input impedance of ≥ 10kΩ. In sum, the Marchand XM66 crossover controller is easily integrated. Also, Adagio un Allegro; Fantasiestucke Opus 73; Funf Stucke im Volkston; Fantasiestucke Op. 88. 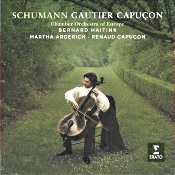 Gautier Capucon, cello; Martha Argerich, piano; Renaud Capucon, violin; Bernard Haitink, Chamber Orchestra of Europe. Erato 0190295634216. So, what's it to be first? The good news or the bad? Of course, the good. On the plus side, the disc offers some great music in the Schumann Cello Concerto plus an assortment of other music by the composer. It's played by some of the world's great performers, including Gautier Capucon, cello; Renaud Capucon, violin; Martha Argerich, piano; Bernard Haitink, conductor; and the Chamber Orchestra of Europe. It's hard to ask for better talent. On the minus side for me (or still on the plus side for a lot of other folks), Erato chose to record the music live, in concert. So, no, I don't think it sounds as good as it could have sounded, but such are the demands of today's economics. Besides, it's some of the most natural live sound I've heard in years, so it's not much of a real minus. Anyway, the program begins with the Cello Concerto in A minor, Op. 129 by German composer and critic Robert Schumann (1810-1856). He wrote it in 1850, zipping through its composition in a mere two weeks. However, he would never hear it performed in his lifetime, and it only found a première some four years after his death. Why no public performance in his lifetime? Possibly because Schumann recognized it was too unusual a piece. 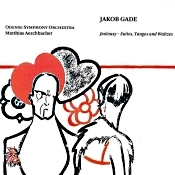 The opening movement is rather fragmentary; the second intensely lyrical, with a conversation between the soloist and the principal cellist; and the finale is in a quick Vivace tempo. Further, possibly because Schumann didn't want there to be any chance for applause between movements, he indicated all three movements be played without pause. Capucon and Haitink appear to take things a bit more leisurely than we generally hear, yet the timings would indicate they're in the ballpark with other recordings. And there is certainly nothing lax in Capucon's presentation. Indeed, he seems right on the money in most regards, if perhaps emphasizing the poetic aspects of the score more so than the purely dramatic. The performers take the transitions between movements at so smooth a pace, one hardly notices the change. 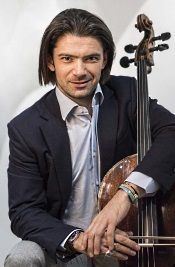 Capucon's forte in the piece is his lyrical playing, which works best in the second movement. Then, the whole team works up a good head of steam in the final part yet in a performance that still maintains the romantically melodious, yearning nature of the score, also making it sound less disjointed than it sometimes can sound. Filling out the disc are four additional Schumann items: the Adagio un Allegro, Op. 70; the Fantasiestuckes Op. 73 and Op. 88; and the Funf Stucke im Volkston, Op. 102. They are ably performed by pianist Martha Argerich and violinist Renaud Capucon. I found these performances more animated, more spontaneous, even in the slower pieces, than those of the concerto. They are worth the price of the album in themselves. Producer Michael Fine and engineer Erdo Groot recorded the concerto live in the Amsterdam Concertgebouw, Netherlands, in November 2015. 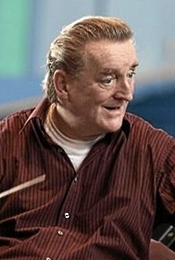 Producer and engineer Ulrich Ruscher recorded the other pieces live at the Auditorio Stello Molo Luganao, Switzerland in June 2009 and 2010, and November 2012. The engineers miked the concerto a little farther away than we usually hear in a live performance, thus making it sound a bit more realistic. It's also a little softer than usual but again not unrealistically so. The solo instrument, too, is a bit farther back but well integrated with the orchestra. Detailing, as I say, is not entirely transparent but more natural than is common for a live recording. Dynamics seem a little restrained as well, so you may have to turn up the volume to get it to sound at all impressive. In the closing duets, the sound is also a bit softer and more distant than one often finds in live recordings, making them sound more like studio recordings. I'm not sure if this was the result of the mike placement or a bit engineering magic afterward, but they sound quite nice. The engineers have also mercifully edited out any applause. Philharmonia Baroque Orchestra & Chorale presents mezzo-soprano Anne Sofie von Otter in works by Handel, Purcell, Arvo Pärt, and commissions by Pulitzer Prize winning composer Caroline Shaw, March 6-10. Shaw will also headline a PBO SESSIONS alt-concert showcasing synergies between old and new music at Stanford on March 7. Legendary mezzo-soprano Anne Sofie von Otter has never been shy about expressing her affinity for music from all historical eras, from Baroque to pop. 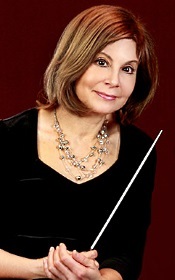 Her omnivorous musical tastes make her a natural fit for the ethos of Philharmonia Baroque Orchestra & Chorale (PBO), which first presented von Otter in a program of works by Handel, Arvo Pärt, and Pulitzer Prize-winning composer Caroline Shaw in Los Angeles in 2016 in celebration of Nicholas McGegan's 30th anniversary as Music Director. On March 6, 8, 9, and 10, 2019, von Otter and PBO will reprise that program, bringing it home to the San Francisco Bay Area for the first time. McGegan will lead PBO, von Otter, and countertenor Daniel Moody through Handel arias and duets; Purcell's Suite from The Fairy Queen; devotionals by Arvo Pärt; and two works by Shaw, commissioned by PBO. 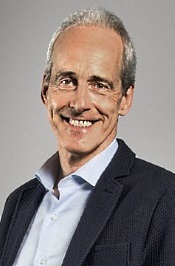 In addition to this concert set, Von Otter, Moody, and Shaw will all perform at PBO's 2019 gala on March 1, 2019 at the Four Seasons in San Francisco. Mezzo-soprano Joyce DiDonato will make a highly anticipated return to Princeton University Concerts ("PUC") on Sunday, March 10, 2019 at 3PM in Richardson Auditorium, Alexander Hall. This special event performance, a part of PUC's 125th anniversary celebratory season, will feature the Kansas-born operatic superstar, "the perfect 21st-century diva," (The New York Times) in a new, genre-defying program: "Songplay." Joined by pianist Craig Terry, bassist Chuck Israels, trumpeter Charlie Porter, drummer Jimmy Madison and bandoneon player Lautaro Greco, the multi Grammy award-winner will trace the musical thread from the Italian Baroque to the American Songbook, including everything from art songs to sambas to jazz ballads, weaving a musical tapestry connected by a collective sense of joy and experimentation. Tickets are $45 general/$15 student, available online at princetonuniversityconcerts.org, by phone at 609-258-9220, or in person two hours prior to the concert at the Richardson Auditorium Box Office. Nu Deco Ensemble will return to The Light Box at Goldman Warehouse, Miami, FL, March 6 - 8 at 8:00 pm in celebration of the 12th annual Global Cuba Fest. Presented in collaboration with FUNDarte and Miami Light Project, Nu Deco Nucleus will perform music from rising young Cuban composers, iconic masters, and unique collaborations with guest artists, world-renowned singer-songwriter Yusa. Tickets for these performances will be available on the Nu Deco website. For more information about Nu Deco Ensemble's fourth season, and to purchase tickets for all upcoming performances, please visit www.nu-deco.org. The San Francisco Girls Chorus (SFGC) will hold its 40th anniversary season Gala: A Ruby Ball on Friday, March 15, 2019, at 6:00 p.m. at the Julia Morgan Ballroom in San Francisco. The event will honor Congresswoman Nancy Pelosi, Speaker of the United States House of Representatives, as the inaugural recipient of the Elizabeth Appling Arts Champion Award, a new award named for SFGC's founder. The award will be presented annually to an individual who has made profound contributions to the Chorus and the broader Bay Area performing arts community. A limited number of individual tickets are available for $350, with tables sponsorships starting at $3,000. For more information on the gala, tickets or table sponsorships, please visit sfgirlschorus.org or call (415) 863-1752 x306. Other Minds opens Festival 24 on Saturday, March 23, 8:00 p.m at the Wilsey Center Taube Atrium Theater, San Francisco, with the first of two performances dedicated to the rarely heard piano and string chamber works of Franco-Russian microtonal composer Ivan Wyschnegradsky. The Arditti Quartet of London, champions of Wyschnegradsky's works and leading contemporary music interpreters, will present an entire program of U.S. Premieres including the composer's String Quartets No. 1-3, Composition for String Quartet, and Trio for violin, viola and cello as well as String Quartet No. 2 by Georg Friedrich Haas, an admirer of Wyschnegradsky. Festival 24 will conclude in June with two final performances: a large-scale world premiere by American composer Brian Baumbusch and a second showcase of works for multiple pianos by Wyschnegradsky. Though considered as one of the founding fathers of microtonal composition and theory, Ivan Wyschnegradsky was ignored and overlooked by the changing musical tastes of the early-mid 20th century. As a result, his music is still largely unknown to this day. General admission tickets are $45 and can be purchased online at http://www.brownpapertickets. $30 student tickets are available with a valid student ID. 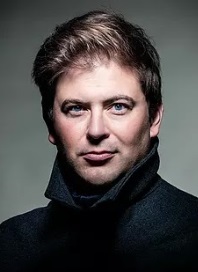 The Los Angeles Master Chorale and Grant Gershon, Kiki & David Gindler Artistic Director, will begin their 2019-20 season with a high profile engagement at the prestigious Salzburg Festival in Austria on July 20 and 21 opening the Festival with performances of its critically-acclaimed production of Orlando di Lasso's Lagrime di San Pietro directed by Peter Sellars. The honor of opening the Festival is a huge international profile boost for the Master Chorale, the country's preeminent professional choir that is choir-in-residence at Walt Disney Concert Hall and a founding resident company of The Music Center for the Performing Arts. Phiharmonia Baroque Orchestra's 2019 Winter Gala & Auction is just around the corner and we unveil the auction catalogue! Peruse the pages to preview the wonderful items and make your plans. If you can't join us on March 1st, you can still win fabulous items. All proceeds support PBO's artistic and education programs. Early bids will be accepted until February 28th at 5 pm. The Société de musique contemporaine du Québec (SMCQ) is preparing to kick off the Montreal/New Musics international festival, with a major concert by the Ensemble de la SMCQ entitled HoMa on February 21st, at 7.30 p.m. at l'Église Saint-Jean-Baptiste. Revealing wind instruments and percussions situated in the four corners of the church – in addition to the grand organ pipes – the concert sets the tone for this 9th edition, with its theme "Wide Open Spaces." Events will be held in various Montreal venues until March 2nd. All details can be found at www.festivalmnm.ca. The Princeton University Orchestra brings one of its most popular programs on Friday & Saturday March 8-9 at 7:30PM in Richardson Auditorium, Alexander Hall, Princeton, NJ. The "Soloist Spotlight" features winners of this year's concerto competition: violinist Haeun Jung '20 and violist Katie Liu '20 in W. A. Mozart's Sinfonia Concertante for Violin, Viola and Orchestra in E-flat major, K. 364; and clarinetist Hanson Kang '20 in Jean Francaix's Clarinet Concerto. The program will also feature guest conductor student Lou Chen '19 in Johannes Brahms' beloved Academic Festival Overture, Op. 80. Maurice Ravel's Ma Mere l'Oye (Mother Goose) Suite rounds out the program, otherwise conducted by PUO director Michael Pratt. The Music Institute of Chicago Chorale, conducted by Daniel Wallenberg, performs Joseph Haydn's The Creation Sunday, March 17 at 3 p.m. at Nichols Concert Hall. In addition to conducting, Wallenberg has adapted the work for soloists, choir, and chamber ensemble. Soloists include Music Institute faculty member Rae-Myra Hilliard, soprano, along with tenor Nathan Oakes and bass Ivo Suarez. Gregory Shifrin is pianist. Sunday, March 17 at 3 p.m. at Nichols Concert Hall, 1490 Chicago Ave., Evanston, Illinois. Tickets are $15 for adults, $10 for seniors, and $7 for students. For tickets call 847-905-1500. For information, visit musicinst.org/chorale-creation. On Thursday, March 28, 2019 at 8:00pm, the International Contemporary Ensemble (ICE) joins the JACK Quartet for a Miller Theatre Composer Portrait of composer Tyshawn Sorey. Sorey, a 2017 MacArthur Fellow, has a wide-ranging creative practice, embracing the roles of composer, conductor, multi-instrumentalist, scholar, and educator. His Miller Theatre Composer Portrait features two new works, written for ICE and JACK, ensembles with which Sorey has close ties. The program includes the world premiere of Autoschediasms for Creative Chamber Orchestra (2019), commissioned by Miller Theatre, and the New York premiere of ...Changes (2018), as well as Sorey's Violin and Glockenspiel, in Memoriam Muhal Richard Abrams (2018); Bertha's Lair (2016); and Ornations (2014). Third Coast Baroque will conclude its 2018-19 season with the Chicago premiere of Handel's first oratorio – The Triumph of Time and Disenchantment, HWV 46a – on Friday, April 12, 2019, at 7:30 pm at First United Methodist Church at the Chicago Temple. Artistic director Rubén Dubrovsky also will lead "Chicago's most accomplished period instrumentalists and singers" (Chicago Tribune) in the work's North Shore premiere Saturday, April 13, 2019, at 7:30 pm at Galvin Recital Hall in Evanston, Illinois. George Frideric Handel composed The Triumph of Time and Disenchantment (Il trionfo del Tempo e del Disinganno) at age 22, decades before the premiere of his most famous oratorio, The Messiah. Just after young Handel wrote his first operas for Hamburg, he traveled to Italy to absorb the latest musical trends. He developed a reputation as a promising composer and exceptional keyboardist in Florence, Naples, Venice, and Rome, where he created The Triumph of Time and Disenchantment. Tickets can be purchased in advance online at thirdcoastbaroque.org ($10-50) or at the door ($10-60). The Chelsea Symphony (TCS), continues its 2018-2019 season reflecting on social action with a chamber concert series featuring two pieces written during world wars, including a rarely heard work for voice and orchestra by French and erstwhile New Yorker, Fernande Breilh-Decruck. 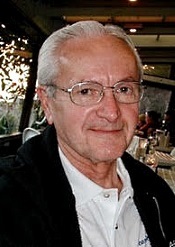 French composer Fernande Breilh-Decruck's Cinq poèmes chrétiens (Five Christian Pieces) for voice and orchestra based on text by French poets was written and performed in 1944 occupied France while the composer was living in Paris. Decruck has special ties to The Chelsea Symphony -- she lived in the London Terrace apartments in Chelsea from 1928-1933, and TCS co-Artistic Director Matthew Aubin is the foremost scholar on Decruck and is leading the resurgent interest in her work. Joining TCS as soloist for the Decruck is mezzo-soprano Kate Maroney, recognized by The New York Times for her "vibrant and colorful" singing. $25 reserved premium general seating on sale at Eventbrite. $20 suggested donation seating available at the door. New Century Chamber Orchestra welcomes Venezuelan-American pianist Vanessa Perez for her debut appearance with the ensemble, March 21-24. Exploring works written by composers under the shadow of oppressive regimes, Perez will feature alongside Music Director Daniel Hope in a rare performance of Erwin Schulhoff's Double Concerto for Violin, Piano and Strings. Also featured on the program is Shostakovich's Chamber Symphony, Op. 110a, Hans Krása's Tanec and two works by Mendelssohn: String Symphony No. 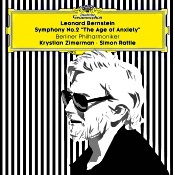 13 in C minor, "Sinfoniesatz" and String Symphony No. 10 in B minor. This program will be presented as part of New Century's subscription series on four evenings in different locations around the Bay Area: Thursday, March 21 at 7:30 p.m., First Congregational Church, Berkeley; Friday, March 22 at 7:30 p.m., Oshman Family JCC, Palo Alto; Saturday, March 23 at 7:30 p.m., Herbst Theatre, San Francisco and Sunday, March 24 at 3 p.m., Osher Marin JCC, San Rafael. New Century offers an Open Rehearsal Wednesday, March 20 at 10 a.m., Trinity St. Peter's Church, San Francisco with free admission. The Open Rehearsal offers a sneak preview of the concert repertoire while allowing audiences to experience the musical democracy of a rehearsal without a conductor. Also Holst: The Planets. 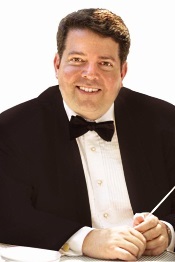 Andrew Litton, Dallas Symphony Orchestra. Delos DE 3225 (2-disc set). 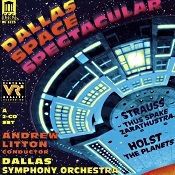 This double album is titled "Dallas Space Spectacular," a designation based on a tenuous connection between Richard Strauss's Thus Spake Zarathustra and the film 2001: A Space Odyssey. Because director Stanley Kubrick used Strauss's "Sunrise" Introduction to Zarathustra several times in his 1968 film, I suppose the piece will forevermore be referred to by the general public as "space" music. So be it. In any event, on the set under review I preferred Andrew Litton's interpretation of Zarathustra to his more hurried performance of Gustav Holst's The Planets. His Zarathustra has real weight and body to it, with the big dramatic climaxes resounding with emotion. Most of Litton's Planets, however, seem like they're spinning crazily out of orbit. Maybe they're rushing to face some unknown cosmic appointment that we don't know about, or maybe Litton himself was rushing to keep a dinner date. Delos recorded the sound in what they called at the time (1998) "Virtual Reality," actually Dolby Pro Logic. It sounds just fine in normal two-channel stereo, but played over a surround-sound system with a center and rear speakers, it is supposed to exhibit enhanced spatial qualities. I tried it in both of my sound systems--in my main, living room system, which uses two, large bi-amplified speakers and in my home theater system located in an adjacent room, which uses seven smaller speakers, a bass woofer, and a Denon 7.1 receiver. The recording sounded best in two channel, not just because the living room speakers are better but because with 7.1 speakers the Dolby Pro Logic matrix fed too much information to the center and rear channels. Frankly, I wasn't about to readjust the levels of the center and rear speakers to accommodate the recording, as a matter of principle. 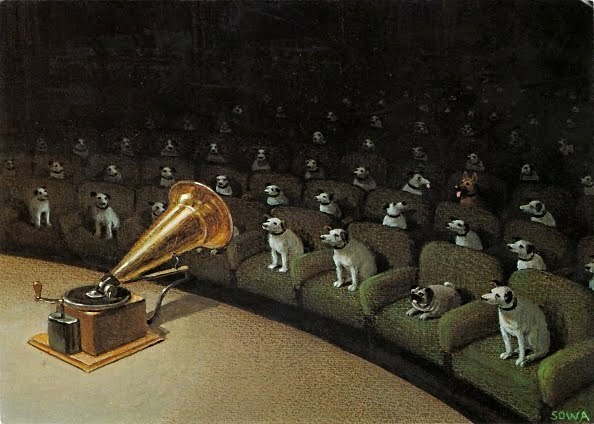 I have yet to hear one of these surround-sound recordings that didn't need some sort of volume adjustment in one or more speakers, and even then I have never been fully satisfied with the sound. I know some people say that Pro Logic was meant only for movie soundtracks, not for the reproduction of music, and I see their point. Anyway, in two-channel, as I say, it sounded fine. Compared to several other Zarathustra recordings (EMI, Newport Classic Auricle, Philips, DG, and JVC/RCA), however, the Delos sound had less depth, less transparency, and less deep bass. My reference Planets (Hi-Q/EMI), also sounded better than the Delos, with greater depth and clarity. My conclusion, therefore, is that the comparison recordings are better, even if a couple of them are costlier. Still, you will find nothing to dislike about Delos's sound, either, and Litton's performance of The Planets may even grow on you. So if the set's combination of titles appeals you, there is no serious need to hesitate. Also, etudes, mazurka, Allegro appassionato, and valse. 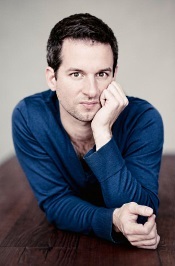 Bertrand Chamayou, piano; Emmanuel Krivine, Orchestre National de France. Erato 0190295634261. French composer, conductor, organist, and pianist Camille Saint-Saens (1835-1921) wrote five piano concertos. 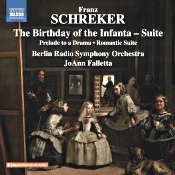 Of the five, the Second and Fifth are probably the most famous, which, by no coincidence, is what we have on the present disc, played by French pianist Bertrand Chamayou, accompanied by French conductor Emmanuel Krivine and the French National Orchestra, and recorded by the French record label Erato. You might say it's all-French affair. Saint-Saens wrote the Piano Concerto No. 2 in G minor, Op. 22 in 1868, and, as I say, it remains among the most-popular of his piano concertos. Oddly for a modern concerto, Saint-Saens begins the work with a relatively slow movement, followed by a faster second movement that resembles a scherzo, and finishes with a very quick Presto. These mercurial tempo changes prompted the Polish pianist and composer Zygmunt Stojowski to joke that the piece "begins with Bach and ends with Offenbach." I should tell you here that up until hearing Chamayou my favorite recordings of the concertos have been with Jean-Philippe Collard on EMI/Warner Classics, as well as Stephen Hough on Hyperion. Now I have to reconsider those top choices, at the least adding Chamayou to them. His dazzling, detailed finger work in the opening section of No. 2 is hard to resist from the start. He then goes on to produce more excitement than most other pianists combined in this work, if not quite as much lyrical beauty. In all, I'd give Collard the nod in poetry and Chamayou the edge in warmth and fervor. Piano Concerto No. 5 "Egyptian" Saint-Saens wrote in 1896, some twenty years after his fourth piano concerto. It has the nickname "Egyptian" because the composer wrote it in Luxor, Egypt, and because the music is among his most exotic, displaying Spanish, Asian, and Middle-Eastern influences. Saint-Saens explained that the music represented a sea voyage. The opening Allegro alternates between slow and fast segments; the central Andante begins with an introductory blast before settling into its more lyrical section; and the piece ends with an energetic Molto Allegro, the opening of which simulates the sound and feeling of a paddle-wheel boat up the Nile. As with the Second Concerto Chamayou is consistently faster than most of his rivals, sometimes surprisingly so. 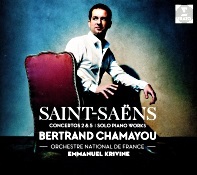 If you regard Saint-Saens as a master of dramatic contrasts, juxtaposing sections of sheer, luxuriant composure with passages of intense, almost riotous passion, then Chamayou's interpretation should appeal to you. It did to me. In addition to the two piano concertos, Chamayou provides seven short, lesser-known solo pieces: Etude Op. 111 No. 4 "Les Cloches de Las Palmas"; Etude Op. 52 No. 6 "En forme de valse"; Mazurka Op. 66 No. 3; Etude Op. 111 No. 1 "Tierces majeures et mineures"; Allegro appassionato Op. 70; Etude Op. 52 No. 2 "Pour I'independance des doigts"; and Valse nonchalante Op. 110. Chamayou's playing is as brilliant here as it is in the concertos, with buoyancy, ebullience, detail, and opulence aplenty. Producers Daniel Zalay and engineer Catherine Derethe recorded the concertos at the Auditorium, Radio France, Paris (concertos) in December 2017 and April 2018. Producer Vincent Villetard and engineer Catherine Derethe recorded the solo pieces at the same location as the concertos in April 2018. The clarity of the piano is superb, among the best I've heard. Moreover, in the concertos the engineer integrated the piano fairly well with the orchestra instead of the soloist being a mile out in front. The orchestral accompaniment is also nicely transparent, without being too strident or hard. The whole affair is miked a trifle close for my liking, but it's a minor concern and no doubt accounts for the recording's excellent clarity. Because of the closeness, too, there is not quite so much natural hall resonance present (for some reason more noticeable to me in the Second Concerto than the Fifth), but again it's a small price to pay for the overall lucidity of the production. Berkshire Opera Festival (BOF) is proud to present Gaetano Donizetti's charming classic Don Pasquale for its fourth season, with performances August 24, 27, and 30 at the Mahaiwe Performing Arts Center in Great Barrington, MA. The production is conducted by Artistic Director Brian Garman and directed by and Director of Production Jonathon Loy, the co-founders of Berkshire Opera Festival. As with the first three seasons, there will also be accompanying recitals and outreach events around the local Berkshire community, including an exciting new collaboration with Hancock Shaker Village entitled "Ain't It a Pretty Night: Excerpts from American Opera," and "Savor the Sound: An Evening of Bel Canto," a free concert for the Berkshire community. The delightful comedy tells the story of a crusty old bachelor, Don Pasquale, who decides to marry a much younger wife and produce an heir to spite his nephew Ernesto, but then gets much more than he bargained for when Doctor Malatesta and Norina decide to teach him a lesson. 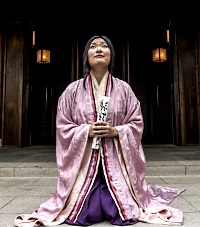 The production follows BOF's acclaimed first three seasons, which featured Puccini's Madama Butterfly, Strauss's Ariadne auf Naxos, and Verdi's Rigoletto. The cast is made up of some of America's greatest bel canto interpreters, with American bass-baritone Craig Colclough starring in the title role. He is joined by Metropolitan Opera soprano Deanna Breiwick as Norina and American tenor Matthew Grills as her lover, Ernesto. Irish-American baritone Emmett O'Hanlon rounds out the cast as Doctor Malatesta. Don Pasquale will be sung in Italian with projected English translations. Tickets are priced from $20 to $99. Tickets are on sale now. For more more information, please visit www.berkshireoperafestival.org/donpasquale. 70th anniversary season runs eight weeks with more than 400 events: June 27–Aug. 18. Music Director Robert Spano leads a season themed "Being American," with works by Gershwin, Ives, Barber, Bernstein, and Copland, including Appalachian Spring; works by contemporary American and immigrant composers; as well as settings of the poetry of Whitman, Melville, Dickinson, and Poe. In a 1926 article for Theatre Magazine, composer George Gershwin wrote that true music "must repeat the thoughts and aspirations of the people and the time." He went on to emphasize, "My people are Americans. My time is today." When we ask ourselves what it is to be American, we often look to our artists for inspiration, for answers and for truth. As the Aspen Music Festival and School celebrates its 70th anniversary season, it felt like the right time—as one of America's flagship arts institutions—to ask, through the lens of great music, what it means to be American. "Being American" is the major strand woven through Aspen's anniversary season, led by Music Director Robert Spano. It will include music by Gershwin, Ives, Copland, Barber and Bernstein; and by Wynton Marsalis, Stephen Sondheim, and Philip Glass. 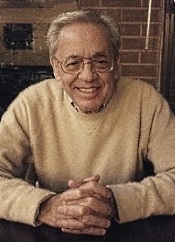 It will feature new and recent works by American composers from the Aspen Music Festival and School's own artist-faculty such as Stephen Hartke, Christopher Theofanidis, Edgar Meyer, Donald Crockett and Alan Fletcher; by composers from immigrant backgrounds such as Kati Agócs, Gabriela Lena Frank, and Vijay Iyer; and by émigrés such as Bartók, Rachmaninoff, and Stravinsky, all of whom made America their home later in life. It will include works that reflect the sweeping diversity of American landscape and culture and works inspired by the words of canonical American literati Walt Whitman (whose bicentenary falls this year), Herman Melville, Emily Dickinson, and Edgar Allan Poe. Like the composers featured this 70th anniversary season, the musicians performing their works represent a wide swath of the American experience, whether visiting artists, members of the AMFS artist-faculty who come from the preeminent classical music teaching and performing institutions in the United States and worldwide or AMFS students, who come to Aspen from 40 U.S. states and 34 other countries. Princeton University Concerts continues its 125th anniversary Concert Classics series on Thursday, February 28, 2019 at 8PM at Richardson Auditorium, Alexander Hall, Princeton, NJ with a debut by Steven Isserlis, one of only two living cellists in the Gramophone Hall of Fame. Joined by pianist Connie Shih, he will present a program juxtaposing works by female composers with those of the men they inspired Clara Schumann and Robert Schumann, Vítezslava Kaprálová and Bohuslav Martinu, and Augusta Holmès and César Franck. Since winning the Silver Medal at the 2015 International Tchaikovsky Competition, George Li has rapidly established a major international reputation, performing regularly with some of the world's leading orchestras and conductors, including Valery Gergiev, Gustavo Dudamel, Manfred Honeck, Vassily Petrenko, Michael Tilson Thomas, and Long Yu. This month George Li adds the title of Steinway Artist to an extensive and growing collection of honors, a resume which already includes the 2016 Avery Fisher Career Grant, the 2012 Gilmore Young Artist Award, and the First Prize winner of the 2010 Young Concert Artists International Auditions. Officially welcomed to the Steinway & Sons family, Li now proudly joins the ranks of Steinway's esteemed roster alongside such distinguished pianists as Martha Argerich, Evgeny Kissin, Lang Lang, Murray Perahia, Mitsuko Uchida, and Yuja Wang, as well as musical legends such as Vladimir Horowitz, Sergei Rachmaninoff, and Arthur Rubinstein. There is something for everyone at the Montreal/New Music Festival: vocal, digital, acoustic, family. Let yourself be tempted by an experience where music surrounds us! In September 2015, Anne Sofie von Otter suggested that Philharmonia commission a young female composer, Caroline Shaw, to write a song for her to sing while on tour with PBO in May 2016. The result was "Red, Red Rose." PBO debuted the song at Walt Disney Concert Hall in Los Angeles and it was a sensation which became the catalyst for PBO's "New Music for Old Instruments Initiative." The initial commission developed into a song cycle entitled "Is a Rose." The second piece was first performed at PBO's 2017 Annual Gala by Dominique Labelle. Bay Area audiences will hear that piece, titled "The Edge," at PBO's March program with Anne Sofie von Otter March 6-10. And now, PBO will debut the third and final piece, titled "And So," at Lincoln Center in New York with Anne Sofie von Otter alongside star countertenor Anthony Roth Costanzo in a program of works by Handel, Purcell, Arvo Pärt, and Caroline Shaw on March 12. La Jolla Music Society, one of the West Coast's foremost performing arts institutions, has announced the launch of its greatly-anticipated, cutting-edge new home, The Conrad Prebys Performing Arts Center (The Conrad), with three illustrious opening-weekend concerts. With ceremonies, performances, and receptions being held Friday through Sunday, April 5, 6, and 7, 2019, the variety and caliber of these festivities in celebration of its $82 million, 49,000-square-foot complex reflect La Jolla Music Society's invaluable positioning in the classical music world at large, and especially of its immeasurable significance to performing arts programming on an international scale. --Hannah Goldshlack-Wolf, Kirshbaum Associates Inc.
Grammy Award-winning Chanticleer continues its 2018-2019 season with "Spacious Skies" March 16 through 21 in venues across the San Francisco Bay Area. Following a highly successful 11-concert European tour across eight countries, the ensemble returns home for a program of works that showcases a vast panorama of American choral repertoire spanning three centuries. This program will be presented as part of Chanticleer's S.F. Bay Area subscription season on four occasions in locations around the Bay Area: Saturday, March 16 at 7:30 p.m., San Francisco Conservatory of Music; Sunday, March 17 at 5:00 p.m., St. John's Lutheran Church, Sacramento; Tuesday, March 19 at 7:30 p.m., Mission Santa Clara; and Wednesday, March 20 at 7:30 p.m., St. Augustine Church, Pleasanton. An intimate and curated performance of "Spacious Skies," part of Chanticleer's new Salon Series, and featuring commentary by William Fred Scott will take place on Thursday, March 21 at 6:30 p.m., at a privately owned historic property in San Francisco that will be revealed to attendees. Single tickets range in price from $20 to $60 and can be purchased through City Box Office: http://www.cityboxoffice.com and (415) 392-4400. Salon Series tickets are currently sold out. Please visit http://www.chanticleer.org for updates on availability. For further information, please visit http://www.chanticleer.org. The winner of the prestigious Avery Fisher Career Grant in 2011, pianist Benjamin Hochamn, will be joining the New York Philharmonic Ensembles as guest artist on Sunday, Feb. 17 at 3 pm for an enchanting chamber music concert at the Merkin Hall. Together with musicians from the New York Philharmonic, Benjamin will perform two iconic works from the French piano chamber repertoire: Debussy's Piano Trio and Faure's Piano Quartet. For the past three years, Benjamin suffered from a hand injury that pulled him away from extensive tours and concert engagements. This upcoming concert with the NY Phil Ensembles marks the first concert he gives in NYC since the sabbatical is over. He opened the 2018-2019 season with a 5-part cycle of the complete Mozart piano sonatas at Bard College Conservatory, followed by Israel Conservatory in Tel Aviv. He returns to center stage this season with Bartok's Piano Concerto No. 3 with the Whatcom Symphony and Mozart's Piano Concerto No. 12 in A major, K. 414 with Santa Fe Pro Musica and the Orlando Philharmonic (play/conduct). In recital and chamber concerts, he gives world premieres by Jesse Brault, Gilad Cohen and Max Grafe, and appears in Seattle, Delaware, Hanover, NH and Chatham, NY, as well as at Santa Fe Chamber Music Festival, Goucher College and Strings Music Festival in Steamboat Spring. Known as the "Caravaggio of Music," the violent, volatile, and startlingly innovative Alessandro Stradella (1639-1682) can be considered a bridge between Carissimi and Handel. His innumerable works, both sacred and secular, still await a broader hearing in our time. The historic Brotherhood Synagogue, once a stop on the Underground Railroad, sets the stage for this work dedicated to the Hebrew Queen who saved her people. The first New York performance in over 30 years coincides with Purim, the Jewish holiday dedicated to Esther. The Northbrook Public Library presents the Merdinger-Greene Piano Duo. Susan and Steve will perform a program of beloved melodies and themes from opera, film, and classical composers in viturosic arrangements for two pianos: Der Rosenkavalier, Carmen, The Blue Danube, Paganini's 24th Caprice, Bernstein's West Side Story, and more. March 3, 2019. 3 p.m - 4:30 p.m. 1201 Cedar Lane, Northbrook, Illinois, 60062. This concert is free and open to the public. Reserve seats now at (847) 272-6224. New Music Chicago (NMC), an organization dedicated to the performance and support of experimental and non-mainstream music, announces the second annual Impromptu Fest, a celebration of Chicago composers, musicians, and enthusiasts of contemporary music. Concerts take place March 21–31 at the brand-new Guarneri Hall in downtown Chicago, Illinois. A showcase for NMC members, Impromptu Fest is a series of eight concerts featuring 16 Chicago-based ensembles playing newly composed music. This year, Impromptu Fest showcases a number of student ensembles and a wealth of multimedia presentations incorporating video, electronics, still images, and live improvisation. "After last year's successful debut, we are expanding our horizons," said Impromptu Fest curator Amy Wurtz. "This year we are celebrating homegrown music with the work of 22 Chicago-based composers, including several performing their own work, and well-known Chicago groups such as Gaudete Brass, Fifth House Ensemble, and Crossing Borders Music. The music ranges from completely acoustic to totally electronic and everything in between. We also are including performers from outside the city, including Elmhurst, Evanston, and Naperville. And we are so pleased to help introduce more music lovers to Guarneri Hall, which has exquisite acoustic engineering and state-of-the-art equipment in an intimate, 75-seat setting." Impromptu Fest 2019 takes place March 21–31, Thursday–Saturday at 7:30 p.m., Sunday at 3 p.m. at Guarneri Hall, 11 E. Adams Street, Suite 350A, Chicago. each ticket level is half price for students. For information, please visit impromptufest.org. For tickets, please visit impromptufest.brownpapertickets.com. The Takács Quartet, recognized as one of the world's greatest classical ensembles, will return to the Vilar Performing Arts Center on Tuesday, February 19 at 7:00 p.m. The quartet plays with a unique blend of drama, warmth and humor, combining four distinct musical personalities to bring fresh insights to the string quartet repertoire. Single tickets for the show are $68 for adults, $10 for students and are available now at the VPAC box office (970-845-8497; www.vilarpac.org). The VPAC is located under the ice rink in Beaver Creek Village (68 Avondale Lane, Beaver Creek, Colorado). March 12 at 7:00 p.m. | Jazz at Lincoln Center's Frederick P. Rose Hall, NYC. Tickets are now on sale for Young People's Chorus of NYC's Annual Gala Benefit Concert, which supports the 2,000 children that benefit from YPC's programs. A limited number of individual concert tickets, priced at $50, $85, $95, $150, $500, will only be sold through the JALC box office. Go to Jazz.org, call CenterCharge - 212-721-6500, or visit the Jazz at Lincoln Center Box Office in person. (Broadway at 60th Street, ground floor; Monday-Saturday, 10am-6pm, Sunday, 12pm-6pm). 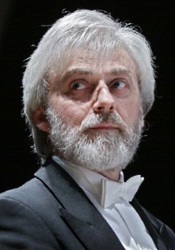 Paul Daniel, English Northern Philharmonia and Leeds Festival Chorus. Naxos 8.553981. The Naxos disclaimer reads, "This is a recording of music performed frequently at the Last Night of the Proms, but not of the event itself." Just so you don't think you're getting an actual live Royal Albert Hall performance as traditionally recorded by other labels. Nevertheless, the music is thoroughly English in spirit, and the disc represents a good value in popular chauvinistic English music. The program starts with Walton's "Crown Imperial," then goes on to what is practically England's second national anthem, "Jerusalem." It continues with the centerpiece of the collection, Sir Henry Wood's "Fantasia on British Sea Songs"; and it concludes with Elgar's "Pomp and Circumstance March No. 1." In between these works are other pieces by Elgar, Arnold, Parry, and Walton. 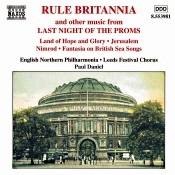 Maestro Paul Daniel, the English Northern Philharmonia, and the Leeds Festival Chorus play the music with great enthusiasm, if not in so grand a manner as those recordings by Sir Adrian Boult or Sir John Barbirolli. But the music is so stirring and patriotic, it practically makes even a non-British citizen want to stand up and cheer. The sound Naxos provides is very wide ranging, with good transient impact and a decent depth of field. It is a little thick around the middle, though; not so transparent as the aforementioned Boult or Barbirolli performances on older EMI recordings. The bass is deep enough but not particularly well defined. Ensemble performance and overall tone are not so resplendent as the Philharmonia or London Philharmonic, either, but for the cost of the disc it is quite a reasonable compromise. For the Henry Wood medley itself the disc is worth the price.